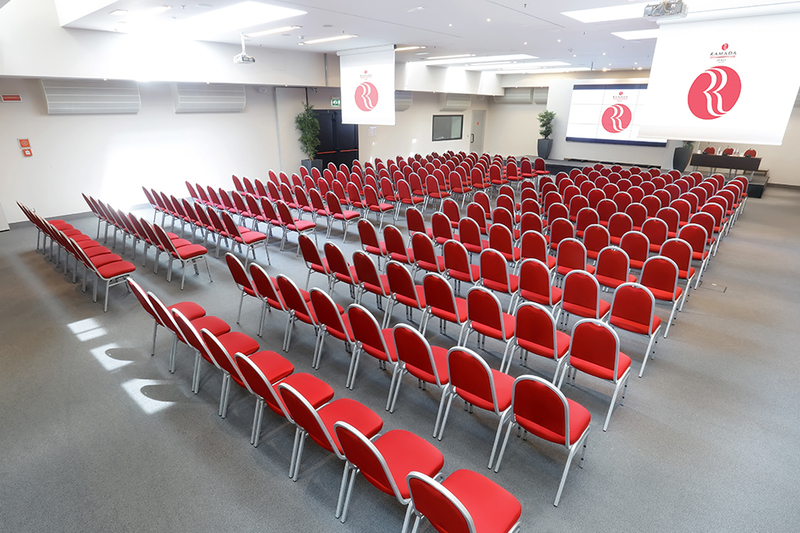 Ramada Plaza Milano: business and relax at your fingertips. Walking distance from Metro Station, 2 km from Railway Central Station and 4 km from Duomo, the hotel has 166 spacious rooms and 96 apartments with small kitchen. For your conference and events, 5 meeting rooms up to 300 delegates, AV fully equipped and a Videowall 3m x 4m – plenary room is connected to a stylish wide Foyer, ideal for coffee break and exhibition area. On top floor we’re glad to show you our roof lounge, an exclusive space with a panoramic view and a wide green terrace, ideal for meeting, lunch or cocktail up to 80 pax. Ramada Plaza Milano is surrounded by a private green area of 3000 sqm for relaxing or drinking a cocktail in Chiringuito Bar or swimming in Ramada Pool, or, you can regenerate your body and your mind in our Wellness and Fitness Centre. Our services are completed by 2 restaurants, Decanter and Brasserie, ideal for lunch and exclusive dinners indoor and outdoor.